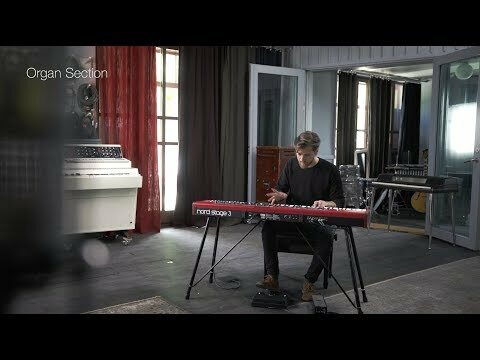 Check out Swedish keyboardist Joel Lyssarides demonstrating our new flagship instrument, the Nord Stage 3. The fifth generation of our successful Stage Series, the Nord Stage 3 features our latest award-winning technologies including the Nord Lead A1 Synth Engine with sample playback, acclaimed Nord C2D Organ Engine, a greatly enhanced Piano Section, and extensive hands-on Effects - all in one exceptional performance keyboard. Read all about the Nord Stage 3 here: http://www.nordkeyboards.com/stage3 Filmed on location in Stockholm, Sweden. All sound recorded live with no external processing. Video production by Kilogram.